An applicant whose pressures are within the above limits, who has not used antihypertensives for 30 days, and who is otherwise qualified should be issued a medical certificate by the AME. An applicant whose blood pressure is slightly elevated beyond the FAA specified limits, may, at the AME's discretion, have a series of 3 daily readings over a 7-day period. If the indication of hypertension remains, even if it is mild or intermittent, the AME should defer certification and transmit the application to the AMCD with a note of explanation. 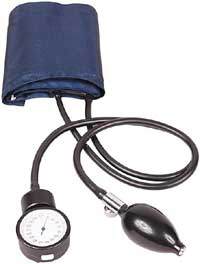 The AME must defer issuance of a medical certificate to any applicant whose hypertension has not been evaluated, who uses unacceptable medications, whose medical status is unclear, whose hypertension is uncontrolled, who manifests significant adverse effects of medication, or whose certification has previously been specifically reserved to the FAA.